Cool, calm, and competent, events planner Paige Walker loves a challenge. After a childhood spent in and out of hospitals, she's now determined to prove herself - and where better to take the world by storm than Manhattan? But when Paige loses the job she loves, she must face her biggest challenge of all - going it alone. 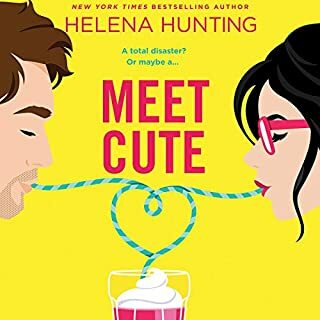 Except launching her own events company is nothing compared to hiding her outrageous crush on Jake Romano - her brother's best friend and New York's most in-demand date. Holly McAdams loves spending the Christmas holidays at her family’s cozy cabin, with its little red door and twinkling lights, tucked in the snowy hills outside Nashville. But this year will be different. Someone unexpected is joining them. 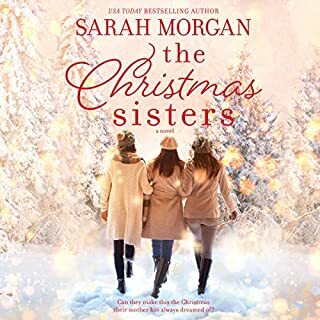 After Holly and her beloved Nana struggle through a snowstorm to reach the cabin, they discover gorgeous and wealthy Joseph Barnes, who has been renting the cabin for the last few weeks, is now snowed in. And it looks like he’ll be staying for the holidays. Lauren has the perfect life...if she ignores the fact it’s a fragile house of cards, and that her daughter Mack has just had a teenage personality transplant. Jenna is desperate to start a family with her husband, but it’s... Just. Not. Happening. Her heart is breaking, but she’s determined to keep her trademark smile on her face. Nancy knows she hasn’t been the best mother, but how can she ever tell Lauren and Jenna the reason why? Lauren, Mack, Jenna, and Nancy are thrown together for a summer on Martha’s Vineyard. A completely satisfying Christmas romance. To celebrate their 25th wedding anniversary, Grace has planned the surprise of a lifetime for her husband - a romantic getaway to Paris. But she never expected he’d have a surprise of his own: He wants a divorce. Reeling from the shock but refusing to be broken, a devastated Grace makes the bold decision to go to Paris alone. Christmas has always been a special time for Noelle Parker. Winter evenings spent with family and friends, drinking hot chocolate and eating cookies at her family's cozy bakery have shaped her love for all things festive. But this year everything is changing.... The beloved bakery is facing closure and Noelle needs a miracle to save Christmas. Determined to raise funds for the family business, Noelle sets about revamping the bakery while juggling a surprise new job, caring for the elderly and cantankerous William Harrington in his luxurious, sprawling mansion. Make it a merry Christmas with these four heartwarming stories. In Christmas Homecoming, sparks fly between former Air Force Pararescueman Kevin Matthews and the town's new surgeon, Kate Stafford. Widower Billy Morgan and his longtime friend, Bella, might discover an occasion to celebrate in An Unexpected Gift. In Christmas in Blue Hollow Falls, Attorney Moira Brogan is rescued by a Aussie chef Hudson Walker. And event planner Julia Louisa Fernandez meets former pro baseball player Ben Thomas who just might inspire a winning strategy in Holiday Homerun. Merry Knight is pretty busy these days. She's taking care of her family, baking cookies, decorating for the holidays, and hoping to stay out of the crosshairs of her stressed and by-the-book boss at the consulting firm where she temps. Her own social life is the last thing she has in mind, much less a man. Without her knowledge, Merry's well-meaning mom and brother create an online dating profile for her - minus her photo - and the matches start rolling in. Initially, Merry is incredulous, but she reluctantly decides to give it a whirl. 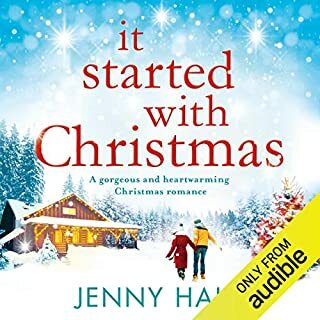 An uplifting, beautiful story about never letting go of your dreams, the special magic of a family Christmas...and the rush of falling in love under the mistletoe. Single mother Abbey Fuller loves her family more than anything and doesn't regret for a moment having had to put her dreams of being an interior designer on hold. But with her son, Max, growing up, when a friend recommends her for a small design job, she jumps at the chance. Before beginning her dream job as sous chef in one of Seattle’s hottest restaurants, Josie Avery takes a summer position cooking at a lakeside lodge in the remote Alaskan town of Ponder. Josie falls for the rustic charms of the local community - including Jack Corcoran, the crotchety keeper of Ponder’s famed sourdough starter, and, in particular, the quiet and intense Palmer Saxon, a famed master swordsmith. 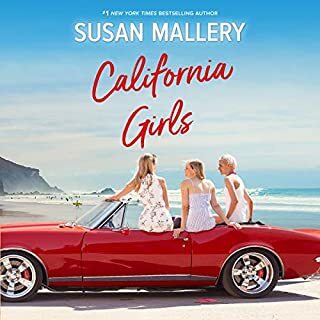 Josie and Palmer become close during the long Alaskan summer days, but Josie knows that, come fall, she’ll be returning to reality and the career she’s worked so hard for. this is a book full of character personality! Professional dog walker Felicity Knight loves everything about New York - until her ex-husband starts working at her local vet clinic. She hasn't seen Seth Carlyle in 10 years, but one glimpse of him - too gorgeous, and still too good for her - and Fliss' heart hurts like their whirlwind marriage ended yesterday. So when her grandmother in the Hamptons needs help for the summer, it seems the ideal way to escape her past. 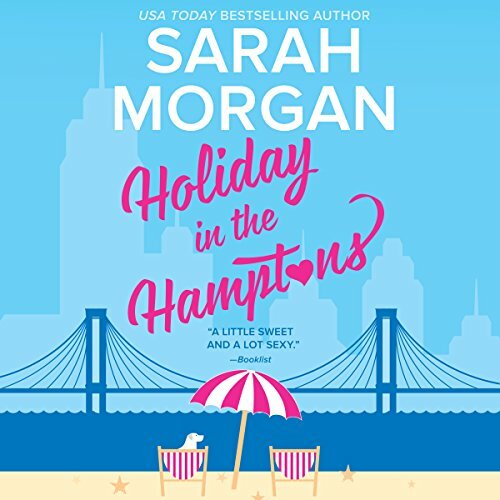 Their relationship might have lasted only a few scorching months, but vet Seth knows Fliss - if she's run away to the Hamptons, it's because she still feels their connection, and it terrifies her. He let her go once before, when he didn't know any better, but not this summer! 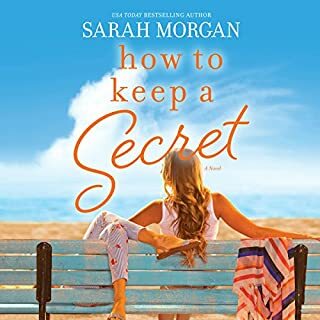 With the help of his adorable dog, Lulu, and a sprinkling of beachside magic, Seth is determined to make Fliss see that he's never stopped loving her. 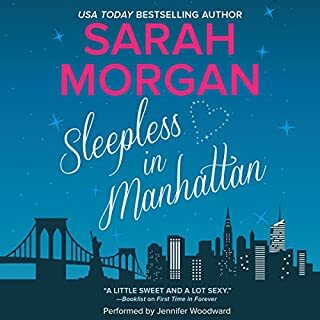 Sarah Morgan delights with more love and laughter in her acclaimed series From Manhattan with Love, which Publishers Weekly calls "engaging...[a] classic sweep-you-off-your-feet romantic experience". ©2017 Sarah Morgan (P)2017 Harlequin Enterprises, Limited.